Every year, between six and twelve million children in the United States get head lice and this leads to tears during the difficult process of attempting to remove them. Prescription insecticides are sometimes toxic and many over-the-counter remedies aren’t effective, a combination which leads to further frustration. Despite being frustrating, lice are not dangerous and they won’t spread any disease. They may bite a child’s scalp, however, and this can make it irritated and itchy, with scratching sometimes leading to infection. Luckily, there are various head lice home remedies that are effective at reducing the number of these pests or even completely eliminating them. Before you start treating one person in your family, always check everyone for lice. Be sure that you treat everyone who has a lice infection as this will prevent the lice from going back and forth. Also be sure to tell schoolmates and close friends that they should check for lice as well. 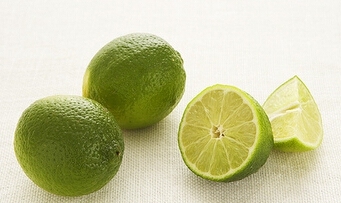 Here are some of the most effective home remedies for lice to try help you get rid of them. Either almond or olive oil make an excellent home remedy for lice as they will both smother or suffocate the lice, slowing them down so they are easier to remove with a comb. How to use: Some people have better experience coating the hair, while others prefer to coat the comb. Either way, coat with the oils first and you should separate hair into several smaller sections, keeping them separate with clips. Work in an area with good lighting so you can see clearly and be sure to frequently rinse the comb with running hot water. After combing through the hair, shampoo and rinse twice, then thoroughly clean the towel and comb. Do this every day for a week. Several essential oils have also proven to help eliminate lice with the help of combing, but always check for allergies first. The effective ones include nutmeg oil, peppermint oil, red thyme oil, cinnamon leaf oil, eucalyptus oil, clove oil, neem oil, lavender oil. 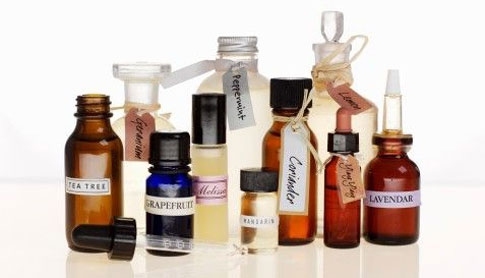 Mayoclinic recommends aniseed oil, ylang ylang oil, Nerolidol, and tea tree oil. How to use: Add between 15 and 20 drops of essential oil to two ounces of olive oil and let it sit on the scalp a minimum of 12 hours (or overnight). Comb everything out then shampoo twice. You can also mix the same amount of essential oil with four ounces rubbing alcohol and spray it on the hair, leaving it for 12 hours. Use Vaseline, mayonnaise, or coconut oil to completely saturate your scalp and hair then cover the head (with a shower cap or plastic bag) for 12 to 24 hours. Heat the shower cap and then shampoo the hair without getting it wet. Cover your scalp again for thirty minutes so the oil breaks down. Thoroughly rinse out your hair, but it might still feel oily. Squeeze fresh ground basil leave juice on your head before combing it using a wide-toothed comb for removing tangles. Now use a lice-removing comb as normal, going through the hair section by section. Be sure to regularly rinse out the comb and wash your hair with shampoo (no water) again and wear a shower cap at night so live lice don’t return. In the case of children under two years old, or if you don't want to use other ingredients, you will need to use a different set of home remedies for lice and avoid medicated treatments. Instead, you will need to comb out wet hair using a nit comb that is fine-toothed. For best results, do this with wet hair that has some lubrication (such as hair conditioner) and comb out the entire hair two times each session and each three or four days. 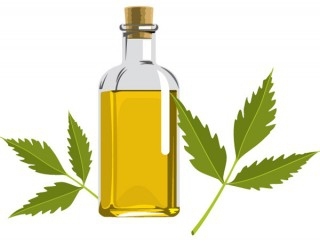 Neem oil is one type of natural insecticide and it can safely and effectively get rid of lice. Simply buy a shampoo that includes neem oil or add a several teaspoons of neem oil to your shampoo and start using that. Because garlic smells so strongly, it can suffocate lice. For this home remedy for lice, make a paste by grinding eight to ten garlic cloves and mixing it with two or three teaspoons lime juice. Thoroughly apply this mixture on the scalp and let it be for half an hour before thoroughly rinsing hair with warm water. Another option is to make a different thick paste with fresh garlic juice, green tea, lemon extract, shampoo, and conditioner. In this case, you would also coat the hair before letting the paste sit for a half hour. Then wash the hair with normal shampoo. You should follow this home remedy weekly for one or two months. Baby oil is another of the home remedies for lice that works by suffocating these pests. For this method, put baby oil on the hair, combing out the hair slowly so lice will fall from the head. After this, use hot water and shampoo to wash the hair. Before you go to bed, apply white vinegar to your hair, then use a towel or shower cap to cover the head, leaving this in overnight. When you wake up, use your regular shampoo to wash your hair as normal before using some conditioner. Note: You should never use dangerous products to treat lice. This means that flammable products (like gasoline or kerosene) shouldn’t be used in any situation. ● Remember that head lice won’t affect animals, so checking or quarantining pets isn’t a concern. Server responsed at: 04/24/2019 4:04 p.m.